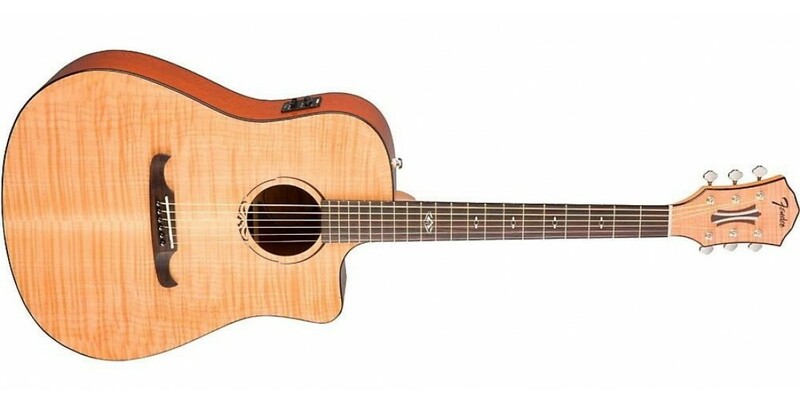 The T-Bucket 400CE Dreadnought Cutaway Acoustic is even more supercharged now, with upgraded features including a remarkable new holographic rosette inlay, new 12th-fret "F" logo inlay design, gold hardware, and Graphtech Nubone nut and compensated bridge saddle for enhanced tone. 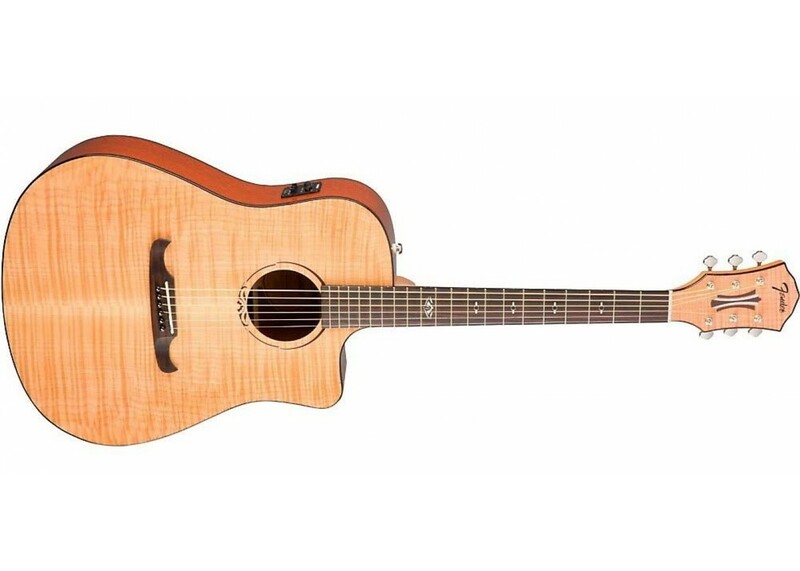 The other great T-Bucket 400CE features you already know are still here, too. 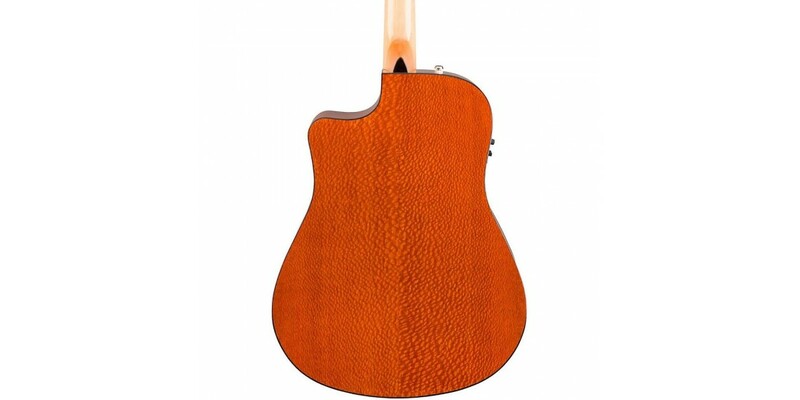 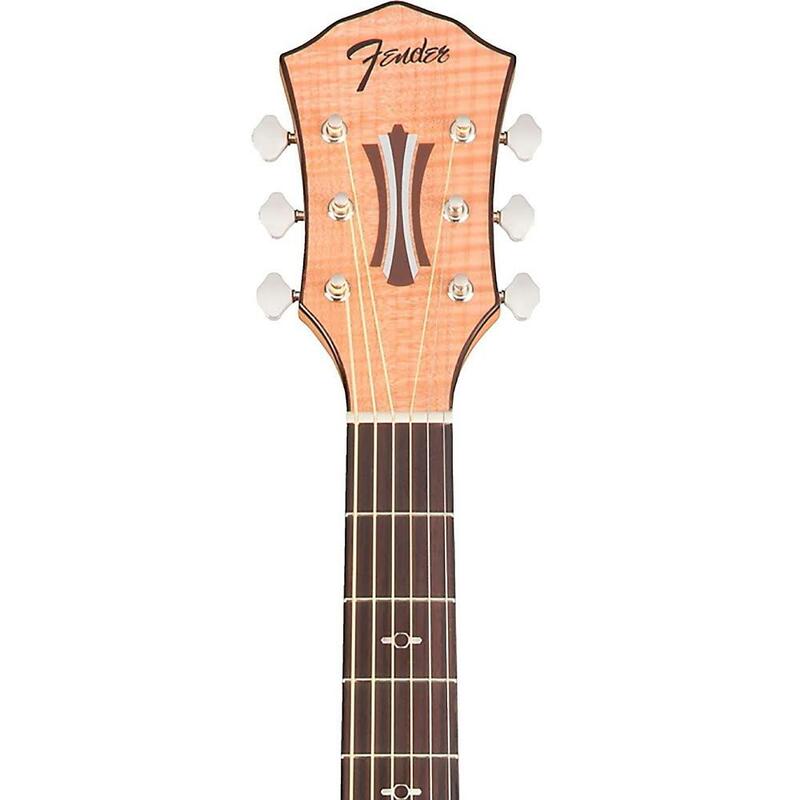 These include the Natural-finish flame maple top, back and sides with quartersawn scalloped "X" bracing, elegant neck and body binding, and T-Bucket rosette and headstock pinstriping. 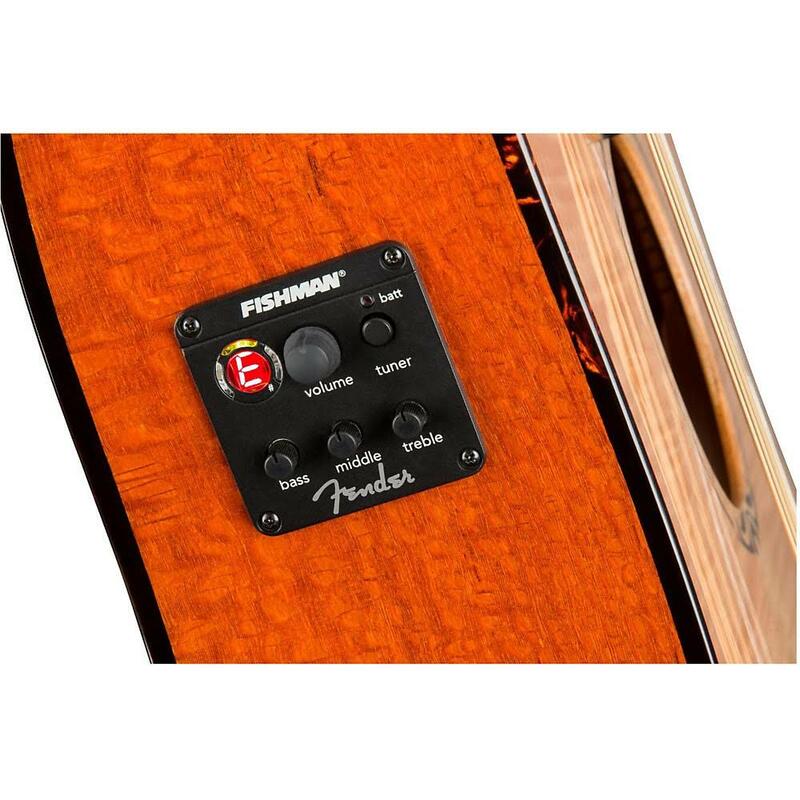 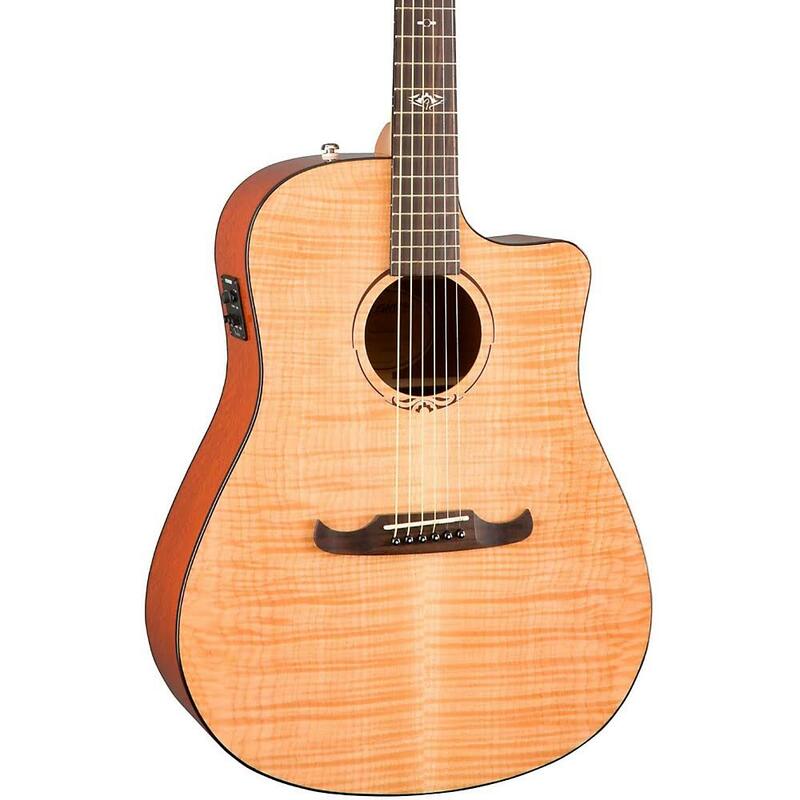 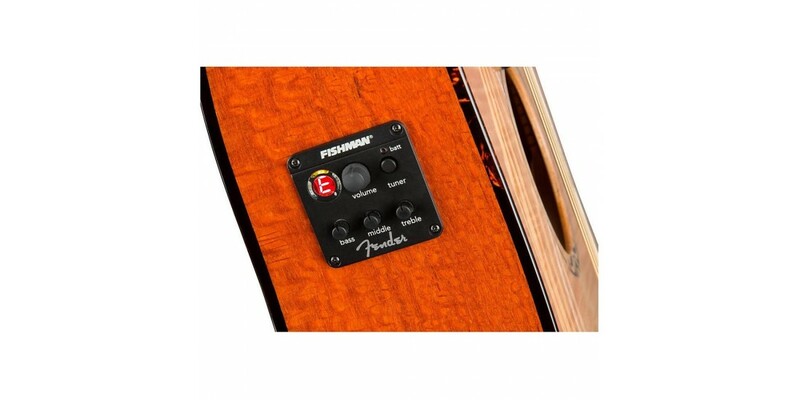 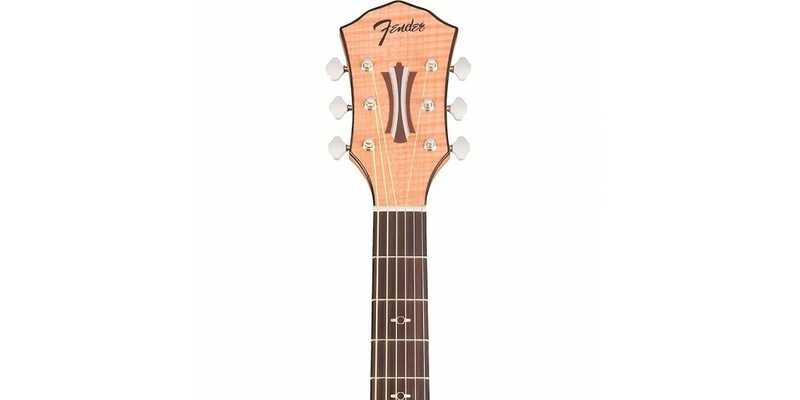 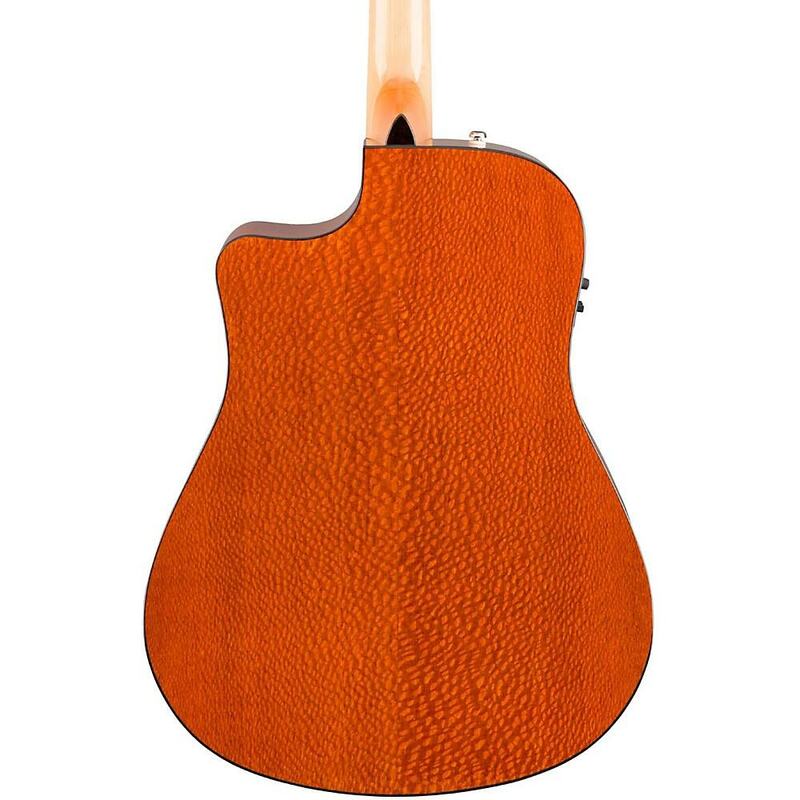 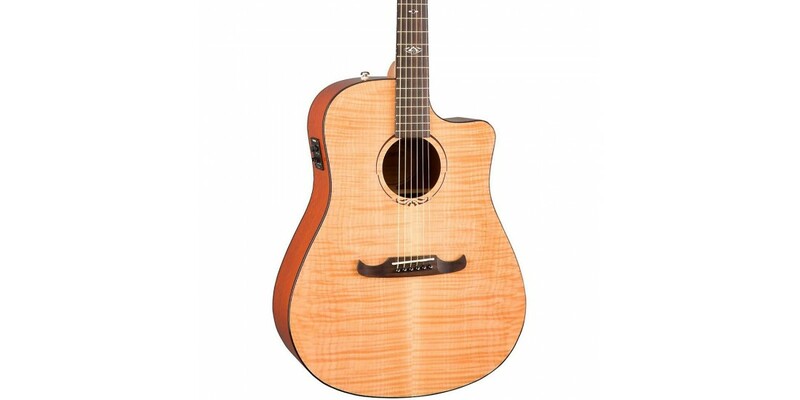 Other features include mahogany neck, rosewood fingerboard and bridge, strap-pin and end-pin jacks, and Fishman Isys III pickup/active preamp system with built-in chromatic tuner, on/off switch, three-band EQ and volume control.